A company with an enviable reputation for quality, service and reliability that has been achieved through planned investment in new technology, processes, materials and machinery whilst maintaining the increasingly rare people based skills at the very heart of the operation. 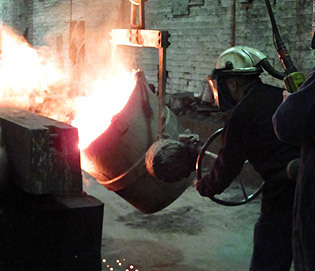 WB White Foundry has the facilities to manufacture an extensive range of castings allied to many industries and applications. Our on-site pattern and mould making facilities allow us to refine, develop and alter product designs to meet exacting customer needs as well as offer completely new and bespoke castings. Manufacturing in Grade 250 Cast Iron, all grades of Aluminium and Aluminium Bronze, and utilizing a professional multi skilled team of engineers, pattern makers and designers, WB White Foundry offers not only high quality finished products but dedicated customer service, design creativity and conscientious after sales support. WB White also has dedicated SG (Ductile) iron casting facilities at our other foundry, SG Castings. 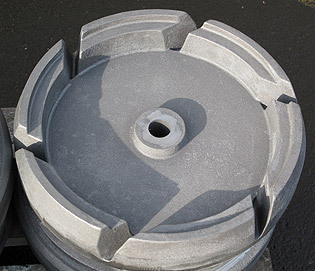 Also based in the north of England, SG Castings can produce spheroidal graphite cast iron to any grade. Ideal for products and industries that have a need for cast iron parts and components that require higher impact and wear resistance qualities. 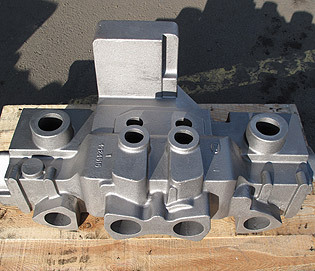 In addition to this, the combined expertise of WB White Foundry and SG Castings can assist a customer in specifying exactly what grade of iron is needed for a given job, ensuring the relationship between machinability, strength, wear resistance, longevity and ductility is precisely what is needed for a given application. With a craft led approach to a project and the ability to cast products in a wide variety of materials, WB White Foundry can manufacture a comprehensive range of decorative items. 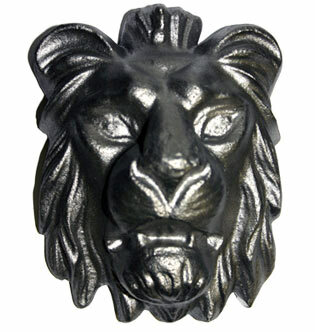 Finials, urns, brackets, sculptures, figureheads and more can all be made as one off or batch repetition items. Using manufacturing principles that ensure we meet the needs of our customers, WB White Foundry's range of Jigs and Fixtures consists of cube castings, base plate castings, double sided tombstone fixings and cruciforms. This is further enhanced by our ability to manufacture completely bespoke products. Manufactured in grade 250 cast iron, WB White has a range of gully grates ideal for kerbside drainage. We have a range of standard sized grates that can be made to order, or can make new patterns for those jobs that require a more specialized application. As one of the leading suppliers of castings to the machine tool industries, WB White Foundry specialise in head stock castings, tail stock castings and lathe beds. These specialist products are supplemented by many more ancillary castings. WB White Foundry is always happy to look into the manufacture of new machine tool casting jobs and assist with product development. Supplied in either cast iron or cast aluminium, WB White Foundry's range of outdoor lighting products includes bespoke designs and a selection of traditional Victorian bases and bracket embellishments. 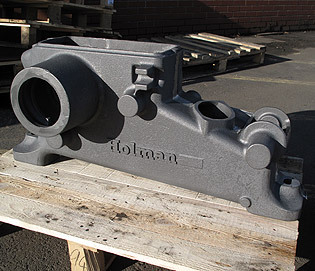 Castings can be supplied in kit form or individually. Consisting of globe valves, butterfly valves, gate valves, steam trap valves, ball valves and actuator valves- WB White Foundry has a range of flow control devices suitable for most applications. Our bespoke manufacturing capabilities and pattern and mould making facilities allow us to work closely with customers to develop new valve products. 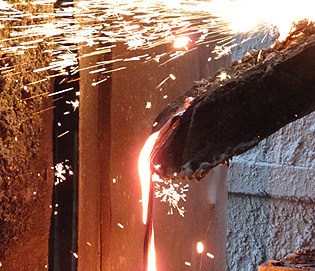 WB White Foundry have existing patterns for a wide range of energy generation and power transmission castings. Gearing, shafts and new bespoke products are all within our casting abilities. Our range of automotive castings consists of thermostats, brake drums, brake discs, manifolds, flywheels, flywheel housings, timing cases, covers and a large variety of bespoke castings. High levels of quality control and a long history of automotive casting makes WB White Foundry a specialist in this arena. WB White Foundry manufacture fixtures, fittings, wheel and gear castings for the roller shutter door trade. In partnership with our sister company, Architectural Street Furnishings, we manufacture what is probably one of the largest ranges of street furniture in Europe. Tree Grilles, Bollards, Outdoor Seating, Cycle Stands, Security Products, Post and Rail Systems, Panelling, Architectural Castings, and Bespoke Coordinated Furniture Schemes are available not only in cast iron and cast aluminium but also in steel, stainless steel, granite and timber. Street Furniture Products can be ordered with our Architectural Street Furnishings Team by visiting the ASF website or calling 01484 401414.